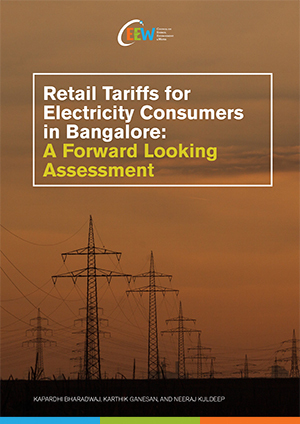 This report estimates the rise in tariffs for electricity consumers in Bangalore over a period of ten years, and explores the effects of increasing renewable energy penetration on the tariffs. Estimating the future cost of electricity requires an understanding of the different components that make up an electricity bill, the regulatory procedures and influences that impact the tariff for each of these components, and the market and political forces that affect these tariffs. 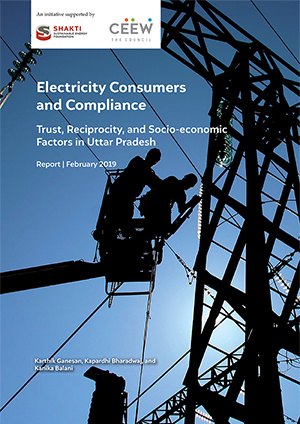 There are four component that influence an electricity bill - power procurement costs, transmission charges, distribution charges and cross-subsidy charges, which this report examines in detail. 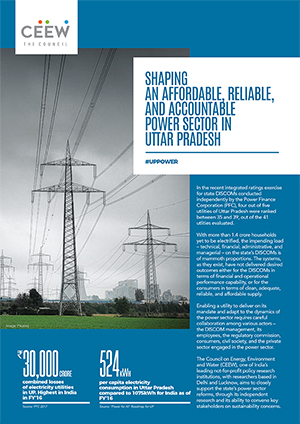 Power procurement costs continue to constitute the largest share of the cost of supply. The estimates in this report incorporate two scenarios of renewable energy growth – high renewable energy penetration and low renewable energy penetration – and their impact on the cost of procurement. The urban city of Bengaluru consumes 50% of the demand of the utility, BESCOM. 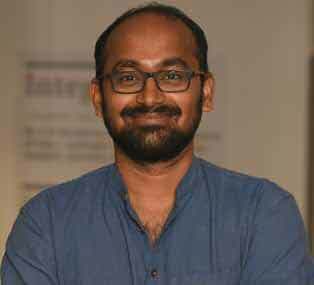 Growth in demand for the Bangalore Electricity Supply Company (BESCOM) can be attributed to the booming migrant population in the city. 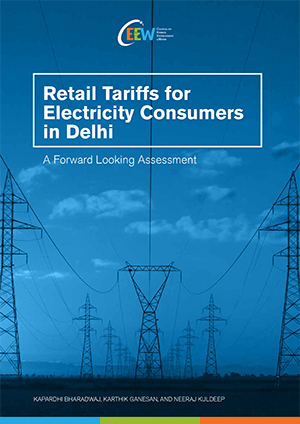 Electricity costs for commercial customers in Bangalore will rise at an expected CAGR of 6 per cent. For industrial customers, costs will rise at an expected CAGR of 5 per cent. The IT-hub of the city is facing problems in augmenting its distribution infrastructure. There is heavy demand for reliable supply to these areas, and the existing distribution infrastructure is inadequate to serve the growing demand. Right-of-way issues have restricted augmentation of supply infrastructure in these areas. 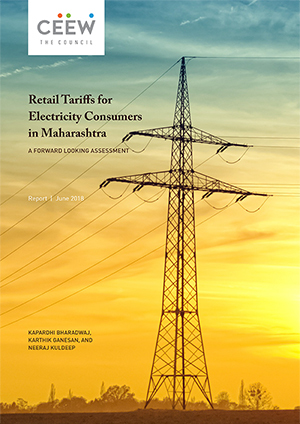 Prices paid by consumers in BESCOM areas are not as high as those paid by consumers in Mumbai or Delhi because of low power procurement costs. Cheap power from hydro plants in the state has contributed to these lower costs. BESCOM enjoys a diverse energy mix, with significant contributions from wind, nuclear and hydro plants. However, in dry seasons (or when there is scanty rainfall) low hydro generation affects the supply position of BESCOM. To cover for this shortfall, BESCOM procures costlier power from short-term markets, escalating its power purchase costs.